La Bella Spa is proud to be an exclusive Eminence Organic Skin Care provider. I use and recommend Eminence Organic in all of my skin care and body treatments. Every product by Eminence is made with the freshest ingredients sourced from organic farms worldwide that provide the highest standards of quality. Just open a jar and you will discover the most delicious concentrate of exotic fruit pulps, plants and spices made to not only smell, look and feel great but heal and smooth the skin. 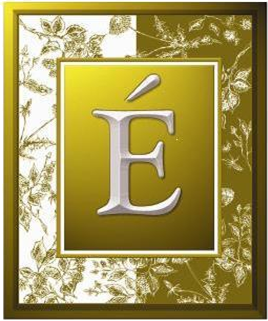 Eminence is extremely picky when it comes to ingredients and believes it is important to read and understand the labels of all products you use. There are several ingredients that are avoided to assure you are getting the safest ingredients possible. Eminence does not test products on animals. Since 1958 Eminence Organic Skin Care of Hungary has been providing the beauty industry with organic alternatives to skincare for both face and body. The Eminence tradition began in a small village in Hungary where organic living has always been a way of life. Family knowledge of herbs, fruits, vegetables and plants has since been passed down for generations. This unique awareness of medicinal plants, combined with the skin care innovation, produced natural products that appeal to both the organic enthusiasts as well as result-oriented clients. To this day all of the ingredients are hand-picked and hand-mixed in small batches and combined in hot spring water to create products that contain potent healing properties. With the organic market growing at a rapid pace due to demand for higher quality food, cosmetics and nutraceuticals, it is important to be aware of proper certifications to ensure the validity of any organic claims. European certification is known to have the strictest regulation and organic guidelines worldwide. Eminence has been certified organic by Biokontroll, which is the main certification organization in Hungary and also where many of their potent and active ingredients are grown. In addition, Eminence is certified by Demeter International, which has been in use in Europe since 1928 and is still regarded as having the highest standards for organic products in the world. Demeter International is a non-profit organization whose mission is to improve the health of people and the planet by providing certifications of products grown and processed according to the highest standards of agricultural and environmental standards. Talc-free; Paraben-free; Lead-free; FD&C/D&C Dye-free. In addition to keeping your skin beautiful Eminence is committed to keeping the environment beautiful as well. Since 1958 the company has been using sustainable farming and green practice to create organic products way before this was the hottest trend. Eminence is in constant search for ways to reduce its carbon footprint from the production and harvest of products to how they are packaged and lastly, how they reach spas. The ingredient farm located in Hungary is powered by solar energy. Both planting and harvesting is done via manual labor producing very little to no carbon dioxide. Only natural plant preservation is used such as honey traps rather than harsh toxic chemical pesticides. Once harvest their products are placed in recyclable, non-toxic plastic containers. Products are shipped in boxes made from post-consumer recyclable material and packaging chips that fill the boxes are made from corn that dissolve under running water. What if your daily skincare routine contributed to the environment? By choosing Eminence Organic Skin Care you can do just that! Eminence’s partnership with Trees For the Future is their latest environment initiative and they have committed to planting one tree for every product sold. Eminence continues to show their commitment to protecting the future of our planet one product and now, one tree at a time!